Texas Premier Mortgage understands how important it is to provide the best financing options to our community, which is why we are the #1 FHA Lender in Houston and the surrounding areas on the FHA loan program We offer excellent customer service, 5 star communication and ZERO LENDER FEES! Thank you for visiting our site – please review the information below and we look forward to speaking with you! FHA mortgage loans are insured against default by the Federal Housing Administration. The FHA loan was created during the Great Depression, to stimulate the housing market and make purchasing a home affordable again. 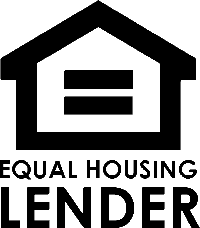 The Federal Housing Administration does not lend money, they insure the loan, protecting the lender from default, through mortgage insurance called-MIP, resulting in lender’s offering flexible qualification requirements and lower interest rates. Borrower’s that find it difficult to get approved for a conventional loan, oftentimes, can get approval for an FHA mortgage. With a down payment as low as 3.5% and as little as a 600 FICO credit score this allows you to get into a home with not having a huge down payment or getting denied for having less than perfect credit , this is very appealing for many first-time home buyers or for new homeowners not wanting to put a large down payment! Texas Premier Mortgage charges NO LENDERS FEES, saving you thousands of dollars upfront. We are local and strive to give you the lowest rates upfront – 0!! When it comes to the down payment you have a few options to consider if you don’t have the funds in your account. A gift from a family member is a great option which many clients take advantage of. There’s also opportunities to have your closing costs paid for by the seller up to 6%. We will help you and your realtor submit the best offer for you and your finances. Our goal is to have the best rates and best fees. If your debt seems to be a problem we also have the ability to go up on some of our debt ratios. We will analyze and review your income and debts to ensure your loan gets approved in advance of any offers or unforeseen obstacles. As a whole FHA offer low down payment options compared to other loan products and as low as a 600 credit score. Call us today to review the benefits of using a local fha expert! Fill out our Quick Quote so we can contact you direct. This will help us get a better understanding of your goals, concerns, and time frame in order for us to help offer you the best terms. If you prefer to meet with a loan expert in person, you can visit our office located at 25325 Borough Park Drive, The Woodlands, TX 77380. We are always available to our local clients and we value to opportunity to visit with you in person. Last feel free to call us direct 281-627-4222 and we would be happy to review your options over the phone. What Makes Texas Premier Mortgage Different? We are a local and our priority is getting you the best rates and best fees in the Houston area. Unlike big banks, we treat every transaction as if we were taking care of a member of our own family! Solid pre-approvals so you can search for your dream home with confidence! Updates to all parties throughout the loan process, so you never have to wonder where you stand. We are available 7 days a week, weekends and evenings included! We strive to exceed your expectation and truly appreciate helping our local residents. We put a huge emphasis on customer service and communication! We are your #1 FHA Mortgage Lender! How do I pre-qualify for a FHA Loan? If you can answer yes to the following statements, you should have no problem qualifying for an FHA home loan with Texas Premier Mortgage-Do you have at least two years of steady employment? Over the past two years has your income been consistent or increased? Is your credit in good standing with no more than two thirty day late payments in the past two years? How do I determine the amount of my down payment for a FHA Loan? Typically the down payment is 3.5% for FHA products with a 600 credit score. Call us today so we can visit with you to get you this accurate information before looking for homes. We will help you structure the offer to best fit your financial obligation to the loan. MIP is an acronym for “Mortgage Insurance Premium”. It is an insurance policy used in FHA loans, if you put down less than 20%. MIP is paid by the borrower as a monthly fee and protects the lender against default on the loan. This is a mandatory premium paid on FHA loans.